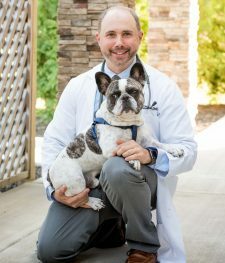 The Surgery service at Upstate Veterinary Specialties in Latham, NY consists of a team including veterinary surgeons, surgical technicians and assistants dedicated to helping you and your pet when he or she is in need of a surgical procedure. The surgical/technical staff has gone through extensive training to provide your pet with the highest levels of expertise available. Our state-of-the-art surgery department at Upstate Veterinary Specialties is fully equipped to perform arthroscopic, neurologic, orthopedic and soft tissue procedures. All patients presenting to the surgical service have an initial consultation with the surgeon. 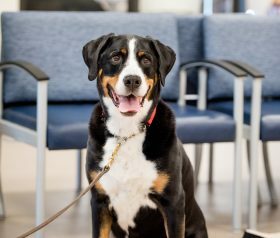 The consultation will include a physical examination of the pet and review of all information sent by the primary care veterinarian (bloodwork, radiographs, etc.) as well as discussion of the pertinent history. The veterinary surgeon will then discuss with you your pet’s condition, all treatment options, and prognosis. Furthermore, prior to any work being done, an estimate of all costs (including surgery, anesthesia, medications, follow up visits etc.) will be provided to you. Here at UVS it is of the utmost importance that our patients are safe and pain free prior to, during, and after the surgical procedure. We set up detailed anesthetic and pain management protocols utilizing multi-faceted approaches tailored to best treat each patient. We have equipped the operating rooms with the latest anesthesia equipment available which allows us to closely monitor our patients and make appropriate decisions based on information in a timely fashion. To maximize our patient’s comfort and minimize their stress levels, patients receive pain medication prior to, during and after surgery. This includes the use of epidurals, pain patches, local and regional nerve blocks and constant rate infusions. The entire staff has been trained and makes it a priority to recognize signs of pain in our patients so that their experience is as pleasant as possible. Post-operative patient care is as important to us as the surgical procedure itself. Therefore we provide doctor and nursing care 24 hours a day to monitor our patient’s needs and address them on a minute to minute basis. Typically if an animal is placed under general anesthesia, he or she will remain in the hospital overnight. Only after our patients have recovered from surgery and anesthesia and are comfortable and safe, do we decide that they are ready for discharge. When your pet is discharged from the hospital you will be given detailed, written discharge instructions that will be reviewed with you. We are always available for your questions. Please feel free to call us anytime, even for the little things. 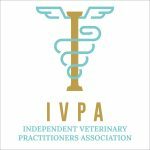 A Veterinarian who is a Diplomate of the American College of Veterinary Surgeons has been specifically trained in the practice of surgery. Only those veterinarians who have successfully completed the certification requirements of the ACVS are Diplomates, and have earned the right to be called specialists in veterinary surgery. 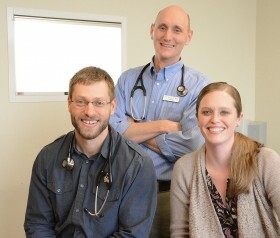 Please take a moment to learn more about our Veterinary Surgeons, Drs. Maxwell Bush and Joe Palamara.